Craft time can be a lot of fun! You may be feeling inspired and decide to be artsy and paint something or you have kids who are thinking of taking up finger painting. Whatever the case, creating a picture with painting is relaxing and enjoyable. However, what is not fun is spilling paint onto your carpet and having absolutely no clue how to handle the situation or get the stain out. Lucky for you, we have the tips and steps to help you with not one, but three different types of paint! If the paint stain is still wet, blot the area with a wet paper towel, DON’T SCRUB. If the paint stain is dry, use hot water and a squeeze of dish detergent. Let the mixture sit for a few minutes to soften the paint. 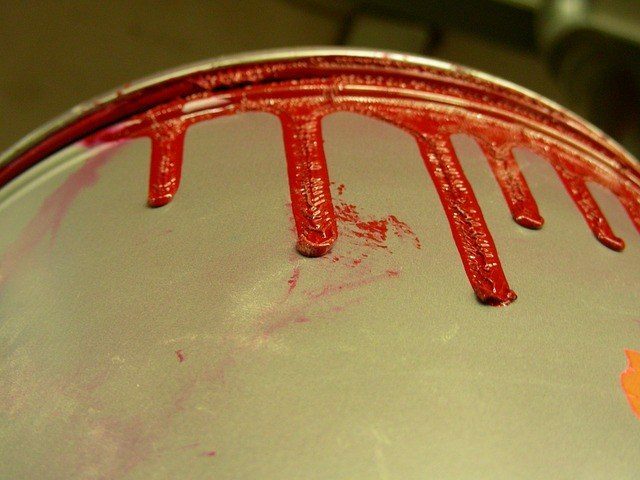 Once the paint is softened, use a knife to scrape the paint stain. Gradually add more solution as you scrape it. If the paint is still not softening, try using a handheld steamer while you scrape. This will eventually remove the paint stain. Blot the area to remove as much wet paint as possible. DON’T SCRUB, this will push the paint further down into the carpet fibers. Work from the outside of the paint stain to the inside, and gently blot the area. Apply steamer directly to the stain. While doing this, scrape away at the paint stain with a needle or a pin to break up the paint stain. Continue this until the stain is gone and be careful not to damage the fibers.